ALEXANDRIA, Va. — Sept. 14, 2015 — Loann Burke, AAF, AIFD, PFCI, won the grand prize in the 48th Annual Sylvia Cup Design Competition on Sept. 12 during SAF Amelia Island 2015, the Society of American Florists’ 131st Annual Convention. As grand prize winner, Burke receives a silver trophy cup, $3,000 and a complimentary registration to SAF Maui 2016. Derek Woodruff, AIFD, PFCI, CF, of Floral Underground in Traverse City, Michigan, was first runner-up and received $500; and Jenna Naylor, AIFD, GMF, of Bloom with Jenna in Snellville, Georgia, whose entry was sponsored by the Arkansas Florist Association, was second runner-up and received $250. ALEXANDRIA, Va. — Sept. 14, 2015 — Del Demaree Jr., AAF, of Syndicate Sales Inc., in Kokomo, Indiana, and Charles F. Walton of Smithers-Oasis in Kent, Ohio, received the floral industry’s greatest honor on Sept. 12, induction into the Society of American Florists (SAF) Floriculture Hall of Fame. The announcement brought hundreds of industry members to their feet for standing ovations during the Stars of the Industry Awards Dinner held in Amelia Island, Florida, at the close of the association’s 131st Annual Convention. ALEXANDRIA, Va. — Sept. 14, 2015 — One of the country’s top experts in postharvest research — and one of the floral industry’s most passionate and respected ambassadors — received the Society of American Florists’ (SAF) 2015 Paul Ecke, Jr. Award. The honor was presented to Terril A. Nell, Ph.D., AAF, a professor emeritus at the University of Florida and former SAF president, on Sept. 12 during SAF Amelia Island 2015, the association’s 131st Annual Convention in Amelia Island, Florida. Established in 1984, SAF’s Paul Ecke, Jr. Award recognizes exemplary devotion to profession, industry and community. Previously the SAF Golden Bouquet Award, this award was renamed in 2002 in memory of Paul Ecke, Jr., AAF. ALEXANDRIA, Va. — Sept. 14, 2015 — Lin Schmale, senior director of government relations at the Society of American Florists, received the 2015 SAF John H. Walker Award on Sept. 12 during SAF Amelia Island 2015, the association’s 131st Annual Convention in Amelia Island, Florida. The John H. Walker Award was established in 1979 to honor the contributions of SAF’s former long-time executive vice president and recognize the important contributions of floral industry association executives. ALEXANDRIA, Va. — Sept. 14, 2015 — A beloved teacher who helped reintroduce freesia to the commercial cut flower market is the 2015 recipient of the Society of American Florists’ (SAF) Alex Laurie Award. The honor was presented to Terry L. Ferriss, Ph.D., a professor of horticulture at the University of Wisconsin-River Falls, in Amelia Island, Florida, on Sept. 12 during SAF Amelia Island 2015, SAF’s 131st Annual Convention. 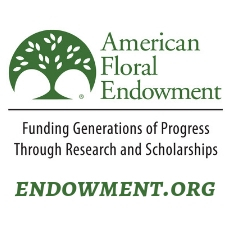 ALEXANDRIA, Va. — Sept. 14, 2015 — The Society of American Florists celebrated the longevity of five floral industry businesses with the SAF Century Award during SAF Amelia Island 2015, the association’s 131st Annual Convention in Amelia Island, Florida. Presented on Sept. 12, the honor recognizes companies that have been in business for 100 years or more. ALEXANDRIA, Va. — Sept. 14, 2015 — Richard Seaboldt, AAF, AIFD, PFCI, was honored for lifetime achievement in floral presentation as the recipient of the 2015 Tommy Bright Award. The Society of American Florists (SAF) Professional Floral Communicators – International (PFCI) presented the honor on Sept. 12 during SAF Amelia Island 2015, the association’s 131st Annual Convention in Amelia Island, Florida. The Tommy Bright Award is the highest honor presented by PFCI to its members. 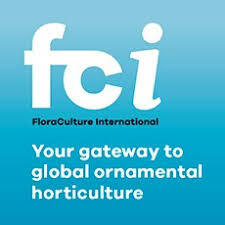 It is named after Ethel “Tommy” Bright, whose motto “Learn More, Teach Others” reflects PFCI values as the floral industry’s speakers bureau and the only network of professional floral business educators certified by SAF.